Strongly flatted crystals, crystal fragments, twins and twin fragments. Whole strongly flattened crystals (plates). Distortion exceeded 4.0. Relief. 1q: 1st quality. 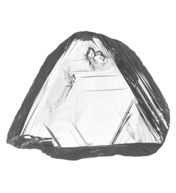 Loupe clean stones, stones with minute defects (small defect occupied a pin-point area) in a peripherical zone. 2q: 2nd quality. Shape requirements are the same. 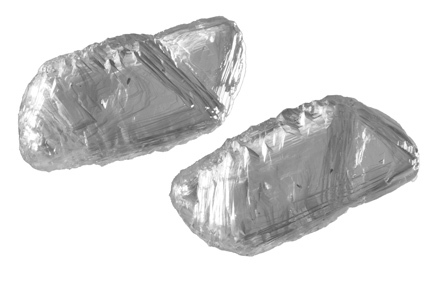 Flat crystals, splitted crystal fragments, inclusions, cracks (located in a peripherical zone). 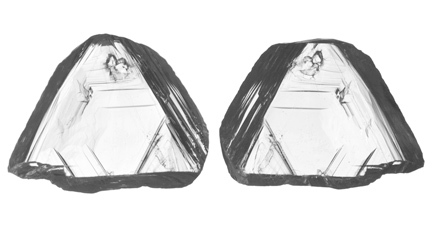 Diamonds with cracks are recommended to be out of group. Flat intergrowth-line.